This masterpiece of mathematical fiction is a delightfully instructive and highly entertaining satire that has charmed readers since its first publication in 1884. The work of English educator and Shakespearean scholar Edwin Abbott (1838-1926), it describes the journeys of A. Square, a mathematician and resident of the two-dimensional Flatland, where men may have any number of sides, depending on their social status. Through strange occurrences, Square was introduced to the mysteries of three-dimensional space, and was even able to venture into a land of four dimensions. Isaac Asimov describes Flatland as "the best introduction one can find into the manner of perceiving dimensions." Flatland is a fascinating reading for mathematics, physics, and computer science students, and adults alike. 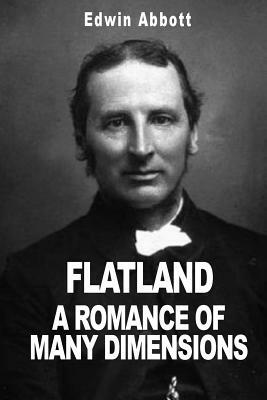 Edwin Abbott (1838 - 1926) was an English schoolmaster and theologian, most famous as the author of the social satire Flatland (1884), with its use of mathematical dimensions in religious and political allegories.